Home » UK Hacker Gary McKinnon Who Saw Off World Soldiers & Ships On US Gov Computers Had Extradition Blocked! UK Hacker Gary McKinnon Who Saw Off World Soldiers & Ships On US Gov Computers Had Extradition Blocked! A BRITISH computer hacker’s decade-long struggle to avoid trial in the US over alleged breaches of military and NASA networks ended in success Tuesday, as the UK government ruled he was unfit to face charges there. 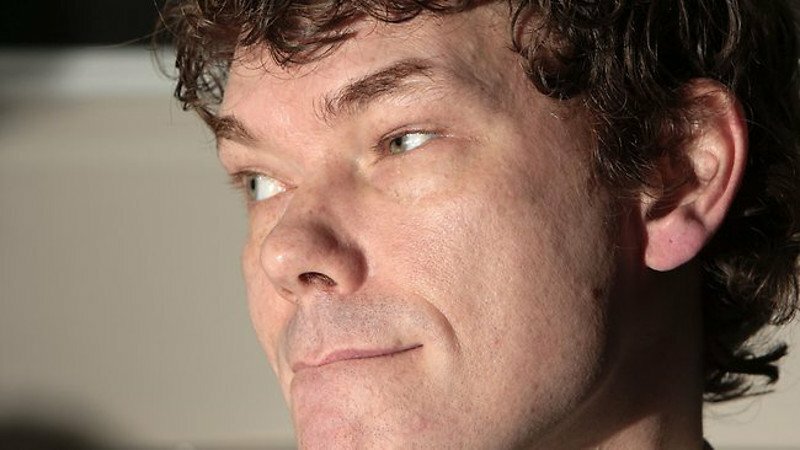 Home Secretary Theresa May said she had blocked the US request to extradite Gary McKinnon after medical experts concluded he was seriously ill and likely to attempt to take his own life. The 46-year-old unemployed computer administrator, who has been diagnosed with Asperger’s Syndrome, was accused of one of the largest ever breaches of military networks, carried out soon after the September 11, 2001, attacks in the United States. British prosecutors will now decide if he should face charges in the UK. Mr McKinnon insists that he was scouring sensitive US computer networks in an attempt to uncover concealed evidence of extraterrestrial life. Known online by the handle SOLO, Mr McKinnon also claimed to have been attempting to expose security weaknesses. He described how in 2001 and 2002 he spent about a year attempting to crack US military systems – spending up to eight hours a day at a computer in his girlfriend’s aunt’s house while drinking beer and smoking marijuana. He had offered to plead guilty to a hacking charge in Britain in order to avoid extradition. Prosecutors turned him down, insisting the US was the correct venue for a trial. US officials said Mr McKinnon’s hacking shut down the US Army district responsible for protecting Washington, DC, and caused about $900,000 worth of damage. He was also accused of clearing logs from computers at Naval Weapons Station Earle in northern New Jersey, which tracks the location and battle-readiness of US Navy ships. Mr McKinnon was caught in 2002 when investigators traced software used in the attacks to his girlfriend’s e-mail account. Supporters of Mr McKinnon had insisted that he was unfit to be extradited to the US, because he has suffered with depression and is a suicide risk. They had argued that Mr McKinnon was an eccentric but harmless man who had no malicious intent. “Gary is a classic computer nerd,” his lawyer Karen Todner told BBC radio Tuesday. British Prime Minister David Cameron – who championed McKinnon’s case before taking power – has raised the case repeatedly with US President Barack Obama, most recently on a visit in March. Mr McKinnon’s mother Janis Sharp said the battle against extradition has turned her son into a virtual recluse. “He sits in the dark with his two cats,” she said. In light of the McKinnon case, Home Secretary May said she’ll seek major changes to rules governing extradition between Britain and the US. Lawyers have complained that under “fast track” extradition procedures introduced after the September 11 attacks, the US is not required to offer substantial proof of an allegation when seeking to extradite a suspect from Britain. Ms May said she will seek to grant British courts new powers to refuse US extradition requests. If the alleged crime involved took place mainly in the UK, a court could decide that a prosecution should take place in Britain, rather than the US.